Simple and innovative, the system designed for the elderly. While 50% of elderly people may find it difficult to use a mobile phone, famil.care offers accessible interface for use on any smartphone. 82% of elderly people describe fears around getting a rapid response and help, should they fall or feel unwell. famil.care provides an emergency pulse button that works automatically in case of an emergency, even if far from the telephone or in the shower. Parents are always nearby and reassured of the appropriate use of their children's cell phone. famil.care for Kids and Teens allows you to give your child a mobile phone with peace of mind. It allows you to know where your child is and if he is ok; you are alerted in case of excessive use or removal outside the scheduled hours and perimeters. Take care of your family even from afar; more security for them and more serenity for you. Balancing private life and daily commitments is a source of stress for those of you who look after both children and elderly relatives. famil.care will promptly notify you if something is wrong and gives you the peace of mind knowing that if your phone does not ring, everyone is fine. 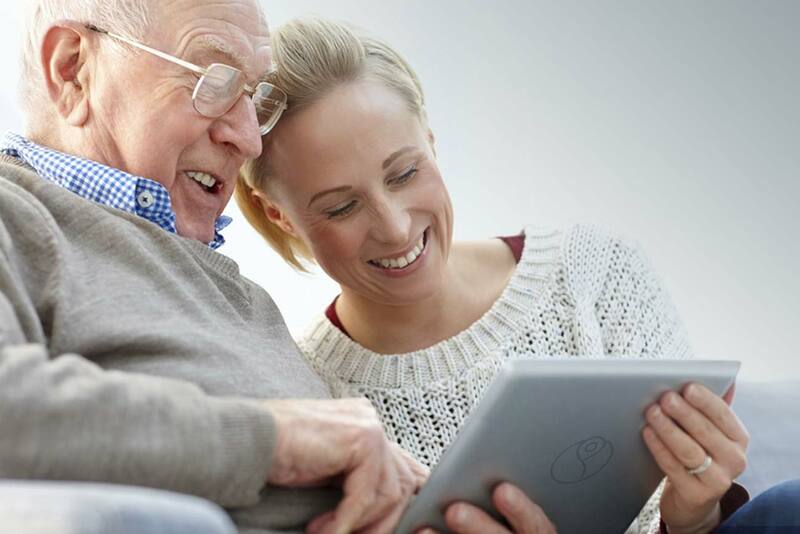 "An App That Helps You Care for Your Family, Wherever They Are Many people of my generation are torn between responsibilities of caring for our own children and looking after our elderly parents too. Many of us also live hectic lifestyles and are struggling to fit all our responsibilities and in to our daily schedules. " "Caring for an elderly who is living remote!? famil.care app may help you to keep them closer virtually." Looking after an elderly might be very challenging! Earlier on this blog, I have discussed about how extremely challenging it is to look after my Dad who loves to be independent but it’s just not that easy for me to let him do what he likes to do on this own and he doesn’t like it at all! There were some discussions about Malnutrition on Elderly on that blog post. Those of you who have been following my blog will know that the issue of how we look after our elderly loved ones is a big issue with me. My mum suffers from progressive ankylosing spondilitis, lives alone and has already had falls which have set her back hugely. We try to keep tabs on her as much as we can but sometimes the craziness of our hectic modern day take over….and that really gets me. There are times when I forget how old I am, in my head I am still 20 and we haven’t even hit the year 2000 – yet here were are in 2017 and I am 43! Of course, me getting older only means that those around me are too, my mum is in her 60s now and my Nana is 95! How did that happen and where have the years gone? !